Death. Taxes. Madden. 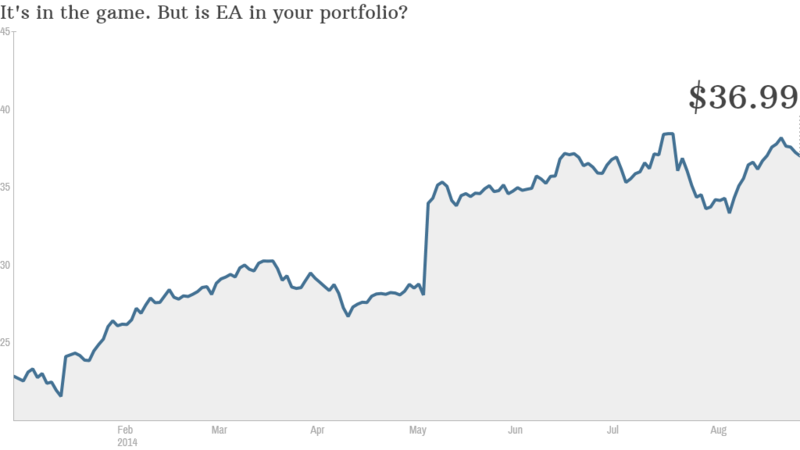 Those seem to be the certainties in life for investors in Electronic Arts. 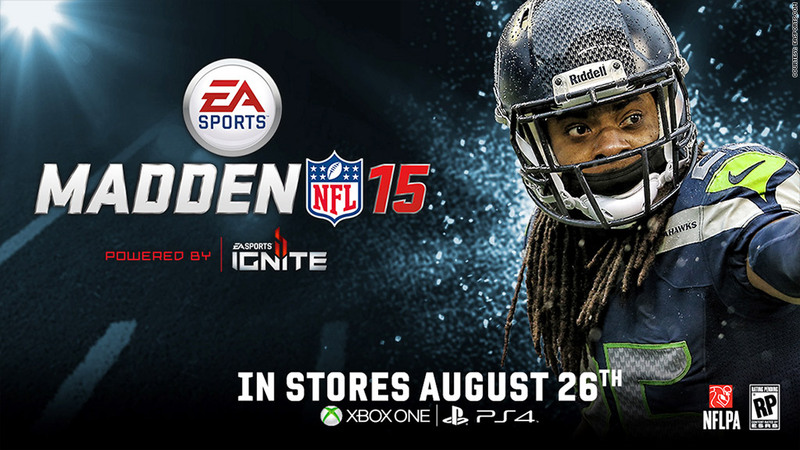 The latest version, Madden NFL15, came out on Tuesday. It's an understatement to say that people are excited. #MaddenSickDay was an amusing trending topic on Twitter, with people coming up with bogus excuses for why they couldn't go to school or work. And EA has cleverly used social media to promote the game as well. A video featuring comedian Kevin Hart and actor Dave Franco (brother of the more famous James) talking smack with each other has been a viral sensation. The video, dubbed Madden Season, has been viewed more than 7.6 million times on YouTube since it premiered on August 15. Madden, a proven money maker for the gaming company, is just one reason why the stock has scored the equivalent of a touchdown with a two-point conversion this year. Shares are up more than 60%. That makes it the top performer in CNNMoney's Tech 30 index by far -- ahead of larger companies riding a wave of momentum like Facebook (FB), Apple (AAPL) and Netflix (NFLX). It's also done better than competitor Activision Blizzard (ATVI) -- which is on a tear as well with a 30% gain in 2014. So can the stock keep climbing? 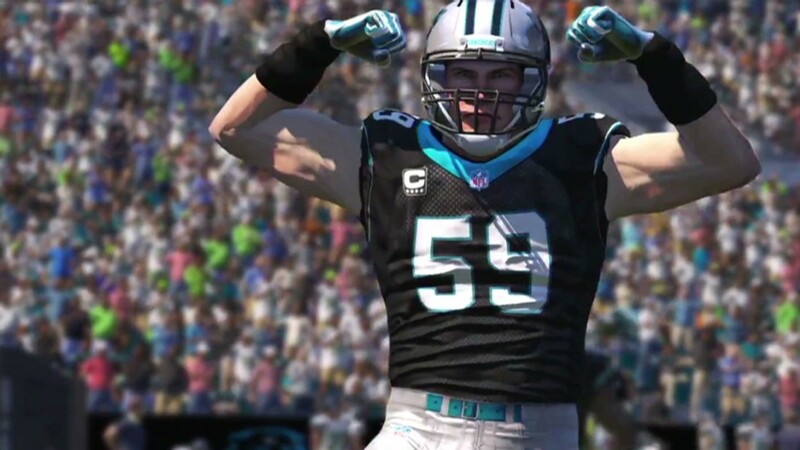 Analysts expect strong revenue and earnings growth for EA's second quarter -- which ends in September and will include the initial flurry of Madden NFL 15 sales. The stock also isn't that expensive either, trading at just under 20 times earnings estimates for the full fiscal year. The consensus price target for the stock among Wall Street analysts is about $42 -- nearly 15% higher than current levels. "Madden will be a solid performer every year," said Wedbush Securities analyst Michael Pachter, who has a $49 target on the stock. Pachter said the reason he is so bullish on EA is not just games for consoles like Sony's (SNE) PlayStation and Microsoft's (MSFT) Xbox, but also because it is increasingly making the transition to mobile games and generating more revenue from add-on content -- advanced features that gamers are willing to pay extra for. So even though there is a legendary Madden cover curse -- players often get hurt or have poor seasons during the season in which they are on the cover -- it doesn't look like there is a Madden jinx for EA's stock.